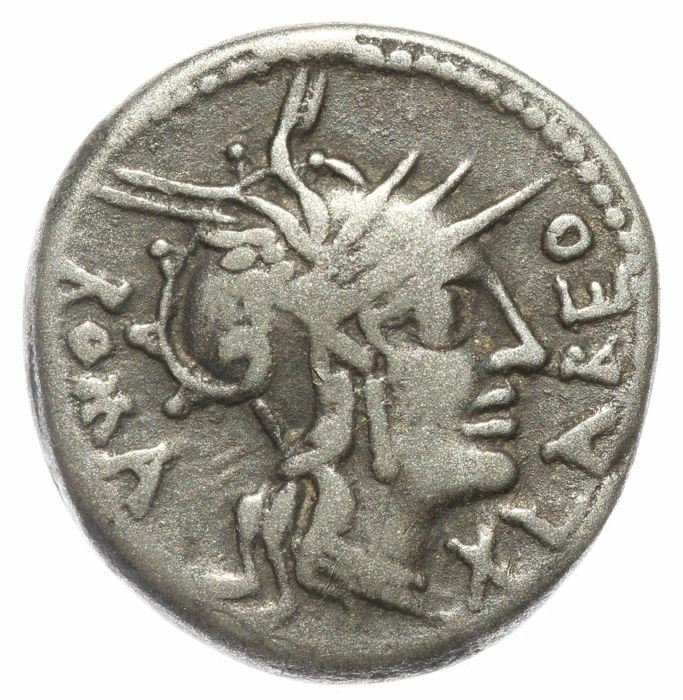 Q. Fabius Labeo was one fo the moneyers for the year 124 BC. He is not otherwise known. Gens Fabia was one of the most ancient patrcian familiies in Rome. They played a prominent part in history soon after the Republic was established, and three brothers held seven consecutive consulships from 485 to 479 BC, thereby cementing the excellent reputation of the family. According to legend, the Fabii claimed descent from Hercules and his visit to Italy before the Trojan War, and from Evander, his host.